If you’re a car lover, your enthusiasm probably extends beyond the vehicles themselves. 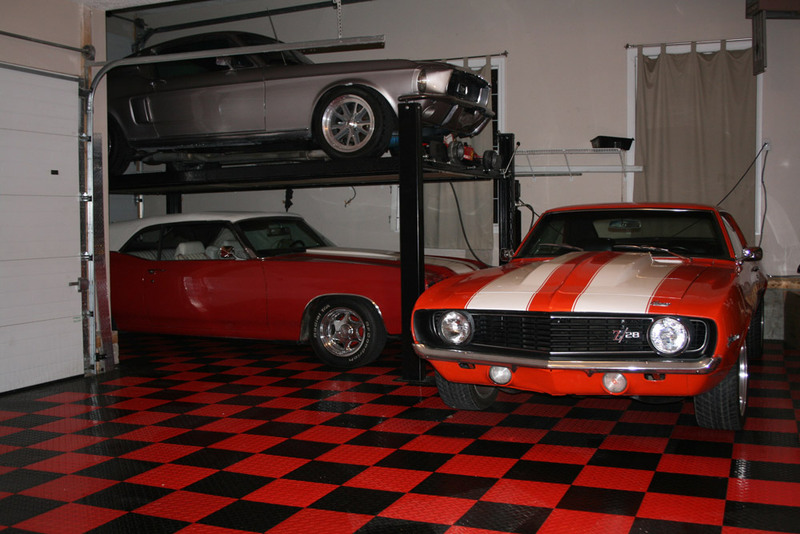 Home garage or professional garage, man cave or woman cave, the space you dedicate to your love for automobiles is a sacred one. It deserves a bit of flair, and as usual, we’ve got you covered with the best garage gear and man cave accessories available. When you think of any iconic classic car, it’s hard not to also think of the urban atmosphere that often comes with it. Corvettes, Chevys, and Mustangs have always been paired with diners, bars, and other locales that are full of colourful neon lighting. Why not bring a bit of that atmosphere into your garage or rec room? 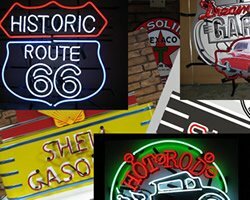 We have an extensive collection of genuine neon signs to choose from, all of which bear the unmistakable logos of your favourite classics. 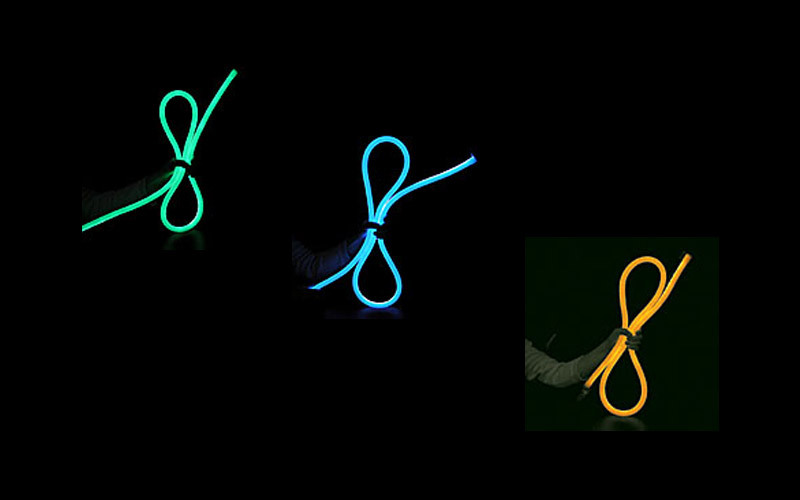 If you want to go a more modernized, energy-efficient route, we also offer a wide range of LED neon light options. Either way, they’re perfect for upgrading the ambience of any space. Everyone’s seen neon lights in the shape of classic cars and their logos, but what about furniture? There’s no denying that the front of a vintage Mustang has a commanding presence, and the elegant, sweeping contours of a Corvette have a classy flavour that few other vehicles can beat. What could be better than capturing these elements in a set of comfy and practical furniture? Whether you need a couch, coffee table, or bar console, you’ll find it among our selection. If your rec room is lacking that extra something, this is a truly unique and eye-catching way to turn it into an automotive paradise. Not all interior additions need to get by on good looks alone. 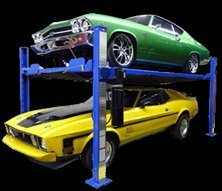 Sometimes it’s necessary to make an upgrade that will add to both the atmosphere and utility of your garage. We’re fortunate enough to be the exclusive distributor of Diamond Grip tile, an affordable yet high-quality modular flooring system. Not only does it offer you the ability to customize with a variety of colour and pattern options, it also gives you all the advantages of a durable, non-slip, stain-resistant floor. The straightforward locking tile design also means that installation is about as easy as it gets. You can’t go wrong! What does your garage or rec room need to become a more stylish and inviting space? Lighting, furniture, and flooring are three of the most important elements in any room, and the right addition can make all the difference. 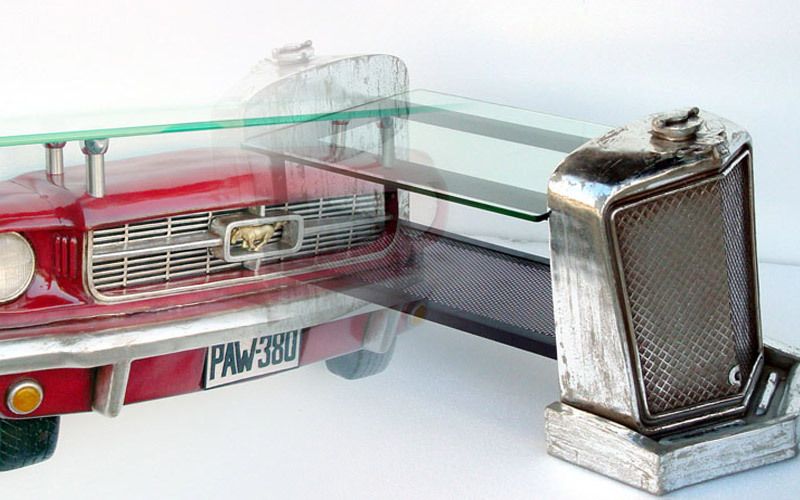 Take a look at our man cave accessories & decor to find out what you’re missing! The ultimate addition to your home garage, office, business, rec room, anywhere! These vintage style neon signs add style and personality exactly where you need it. Check out our brand new designs only available at Lift King! Lift King is now the exclusive distributor for Diamond Grip tile. Diamond Grip is the perfect choice for an extraordinary floor in a minimum amount of time and effort.